Manufacturer of a wide range of products which include comfortable ladies footwear, closed upper ladies footwear, fashion footwear, fashion footwear, stylish ladies footwear and fashion ladies slipper. We are well-established and renowned manufacturer, exporter, importer and supplier of an elegant range of Comfortable Ladies Footwear. Our offered ladies slipper is acknowledged by our clients due to its high quality & comfort. The offered ladies slipper is designed by excellent quality material and leading techniques. 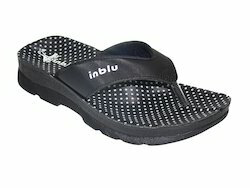 Furthermore, customers can avail this ladies slipper from us in bulk quantity within the promised time frame. With the help of our professionals, we are able to manufacture, export, import and supply an extensive collection of Closed Upper Ladies Footwear. The provided ladies slipper is designed using the excellent quality material and latest techniques in accordance with the quality standards. We offer our ladies slipper in customized options in order to meet the various requirements of clients. Furthermore, the offered ladies slipper is checked on well defined parameters of for assuring its high quality. 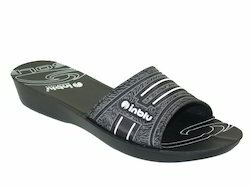 Great Comfortable Slipper For the Women, Flexible Slipper. Great Comfortable And Soft Ladies Slipper For the Women. 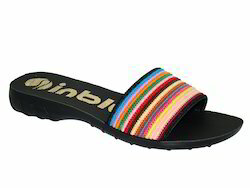 Close upper Slipper For the Women, Multi Color Slipper of Inblu. Looking for Fashion Footwear ?